Finca Arboleda, self catering holiday accommodation is our beautiful home and also offers the choice of our spacious one bedroom Orange Grove or our two bedroom Old Stables. We are ideally located just 10 minutes from the beaches of Costa Almeria and only 5 minutes from Vera town. 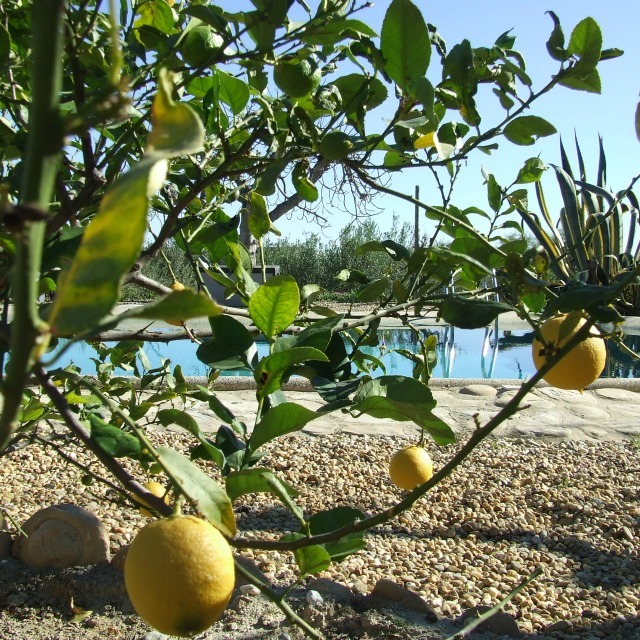 Finca Arboleda has 5000 sq metres of mature fruit and olive trees and a fantastic salt purified 10 metres x 5 metres swimming pool , for use of both lodgings. Our clean, well equipped self catering holiday accommodation is ideal for those wanting a quiet & relaxing but not remote self catering holiday. We have been established since 2004 and are registered with the Almeria tourist authority as a rural tourist lodging VTAR/AL/00189. Visit the Orange Grove or Old Stables accommodation pages for more information. We look forward to answering your enquiries, whether its about Finca Arboleda, the region or your travel plans. 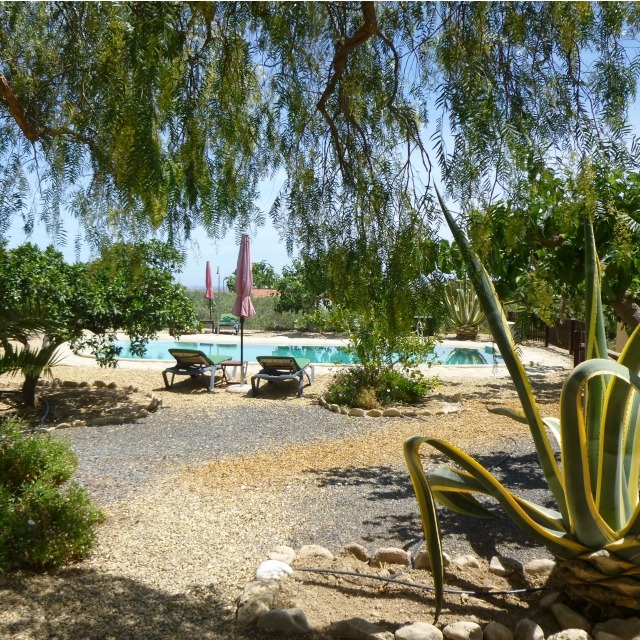 Finca Arboleda is the ideal base for exploring Almeria all year round. You can expect the driest climate in Europe, indeed part of the region is a semi-desert and has been likened to Arizona. Temperatures range from around 20º in the winter to mid thirties in the height of summer, it can feel a bit chilly when the sun goes down in winter but the accommodation has central heating.